When you are making an honest crack at going green with your packaging, every little transition counts and adds up to a big difference. EcoEnclose offers several options in eco-friendly carton sealing tape, including two different types of Pressure Sensitive Tape. Unlike water activated tape, pressure-sensitive tape (PST) consists of film and a tacky substance that adheres to a given surface when light pressure is applied. Most tapes you use at home - masking tape, duct tape, Scotch tape – are PST. If you've decided that eco-friendly pressure sensitive tape is right for your packaging needs, you've come to the right place! Click here if you think our eco-friendly water activated tape will better meet your needs. The next question? Paper or plastic? 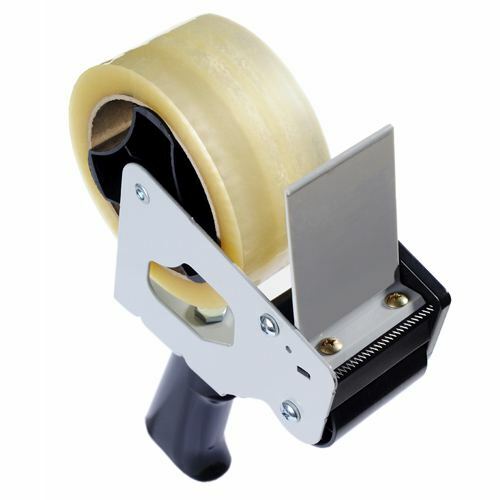 Plastic tape remains the industry standard because it is the easiest to come by. In place of your ho-hum 'plastic' tape, we've married a renewable cellophane backing with a natural rubber adhesive crafting the perfect tape. Our Cello Carton Sealing Tape is uniquely plant-derived and renewable. For paper lovers, we recommend our Kraft Flatback Tape. The unique blend of renewable paper backing and pressure-sensitive natural rubber adhesive is easy to tear - no dispenser is necessary. Both of our pressure sensitive carton sealing tapes work well for low volume applications, and are especially suitable for our presentation style eco-friendly shipping boxes - including our tab locking boxes and literature mailers.